« Great Winter deals on TP Garden Swing Frames! 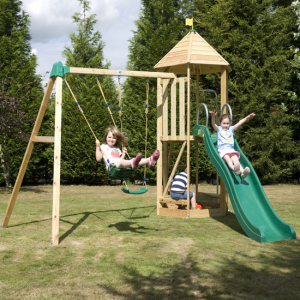 As one of the few remaining companies offering a genuine ‘try before you buy’ display site for outdoor toys we are proud of the great variety of play equipment we have on display in a garden setting – all available for you to try before you buy! We believe that, as well as having some of the most competitive prices on the internet, it is important that our customers can see, touch, feel and try a product* before they part with their hard-earned cash to buy it. Afterall, you can look at hundreds of online photos, videos, diagrams and pages of text about a product but nothing actually beats standing in front of a wooden climbing frame, trampoline or garden swing giving it a good once over to get a real idea of the size, scale, dimensions and quality of it. On top of this, you can quiz a real human being face to face about the products who will share their knowledge and experience with you to make sure you get the right climbing frame, trampoline or garden swing frame for your situation. We only sell products which are built to last and we make no bones about it – some of our products are a lot of money. But when you consider the amount of fun, laughter, exercise, entertainment and good old fashioned memories you and your children will get from them for years and years to come, it will seem like a very good purchase indeed. See our testimonials page to see what our customer say about us and our products. So, we have a large display and we welcome people to try before they buy and as a consequence we often have ex-demo outdoor toys for sale as we rotate the display products to keep the most up to date products on show looking fresh and new. 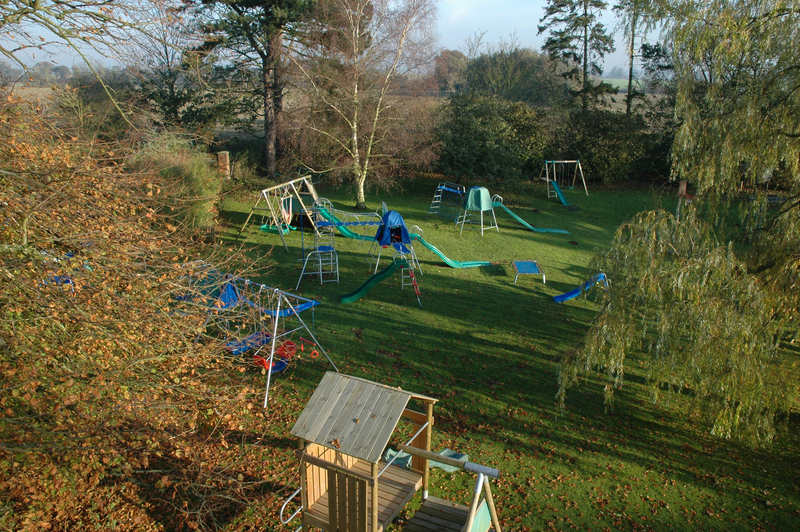 We sell off these ex-demo products at various times of year but a ‘pre-season’ sale is a favourite as we clear the decks and install a new selection of swings, climbing frames and trampolines for the coming busy Spring/Summer season. And now is the time for a ‘Pre-season sale’. Although your thoughts may not be on garden toys while the snow is still falling, it is a chance to pick up some superb bargains ready for the kids to get outside and enjoy when the weather does finally improve (next week I’ve been told!). Our usual ex-demo discount is 25% off our normal selling price (not the RRP which is a lot higher) and some of the products have even more discount if you’re quick. Most products are not more than 2 seasons old and any outstanding warranties and guarantees are still applicable. The main stipulations are that the sale is strictly ‘first come first served’ and ‘sold as seen’ – so you must come and look, touch and try the products before buying them. Also, we can then discuss the logistics of moving it from our display to your garden. We try to limit any dis-assembly and subsequent re-assembly and, subject to access at your end , we can move the majority of products part-assembled saving you both time and money. Ex-demo price £389.99Saving 25% or £130! Our ex-demo page can be found by clicking here which shows a selection of what is available. If you are interested in any ex-demo products please call us on 01635 248683 to discuss their availability and your requirements. If we don’t have it available as ex-demo we do have some very good new package prices which may also be worth considering … click here to go to our homepage and see our full range of swings, climbing frames, trampolines, sandpits, slides and much more…! I love reading through a post that can make men andd women think.